It’s great to have professional tutors with such a range of specialist areas. “It’s great to have professional tutors with such a range of specialist areas. By having tutors who are both still in practise and experts in various fields, I feel like I can get a variety of help and support when I need it from them, as well as from our workshop technicians who can help me with model making. I enjoy the focus on using various techniques to create models and visuals. “I really enjoy having such a range of facilities available to me at NTU. Equipment such as the Heliodon and Artificial Sky allow me to further explore my designs as well as present my work better, which is sometimes not readily available at other universities. “In our first year we completed a community project which involved designing and building a shelter and community structure to be built on an allotment in Nottingham. We were challenged to create something that was cheap to build and could be used without electricity and a water supply. I enjoyed this because it allowed us to learn more about green design and test primitive construction methods. “We recently also took part in the Nott Forgotten Competition which allowed us to design a space to be built on a disused site around Nottingham. I enjoyed this project because it could potentially have an impact on the town we live in and make a difference. 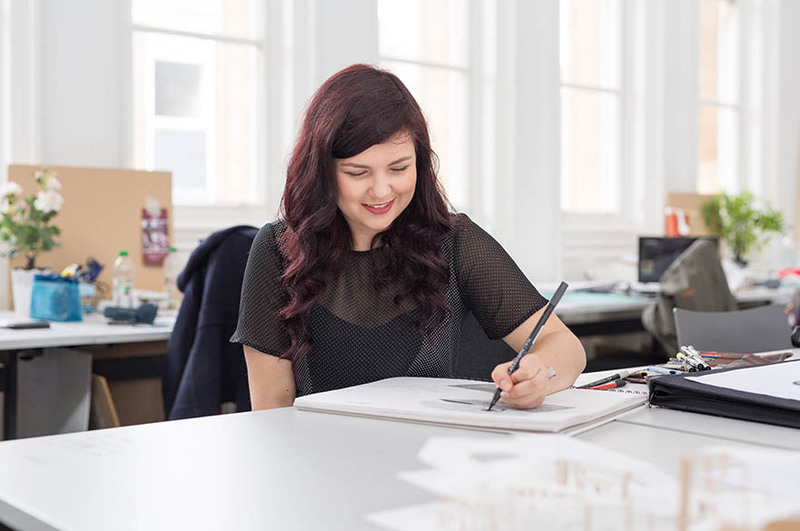 “I would recommend my course to anyone who wanted to do architecture because it has allowed me to learn in both a creative and professional way which will help me to be the best I can in my field. It is also a friendly environment where you can get support from tutors as well as your friends in studio.